Melbourne, this November is bursting at the seams with fun times! Why spend thousands of dollars on a flight to Europe when you can visit France right here in sunny Melbourne? Experience the sights, sounds, tastes and smells of Europe’s most romantic country as a replica French pop-up village springs to life for three days in South Yarra. There is not a French thing you won’t be able to find here, from pastries to wineries, art workshops to artwork shops, escargot eating races to mimes with painted faces. Have you ever wondered what it would be like to run through a rainbow? Well, here’s your chance to find out. 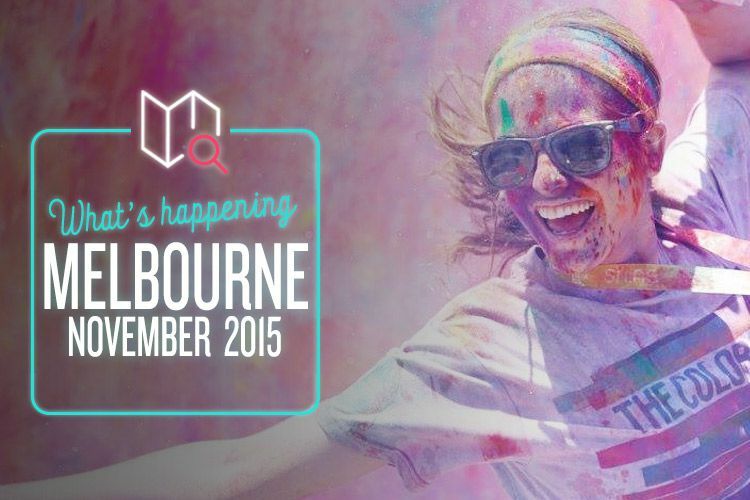 Known as the “happiest 5K on the planet”, join thousands of fellow Melbournians on a run to remember. Throw on a pair of sneakers and a white shirt, and come out looking like a piece of candy from Willy Wonka’s factory. And if you’re not a runner, don’t sweat it! No seriously, we meant it. Whether you run, walk, crawl or roll through the course, you’ll still come out a champion. There’s nothing better than a deliciously refreshing cocktail on a warm day, and this November, Melbourne is celebrating its very first gin festival with a backdrop of the beautiful Yarra River and Federation Wharf. At Juniperlooza, punters will be treated to a menagerie of gin pop-up bars, gin tastings, gin-inspired food… you get the idea. After all that, you can head on down to one of the ‘meet the maker’ sessions, where you’ll find out how the best distillers from Melbourne and around the world carry out their craft. Sweetfest is a sugar-fuelled weekend celebrating all aspects of our favourite, most decadently wrong (but oh so right) sweet treats. Purchase incredible desserts, pastries, cupcakes, slices, ice-creams and more from local, interstate and international vendors. Fancy yourself a master chef? Get involved in some masterclasses so you can perfect a flawless strudel, try your hand at a lollipop cake, or create a unique Harajuku burger cupcake.